Through the thick fog of our own galaxy, astronomers have spotted an ultimate prize: one of the largest-known structures in the Universe. Called the Vela supercluster, the newly discovered object is a massive group of several galaxy clusters, each one containing hundreds or thousands of galaxies. It may be hard to believe that such a huge object could go unnoticed, but it makes more sense when you consider where we all live. 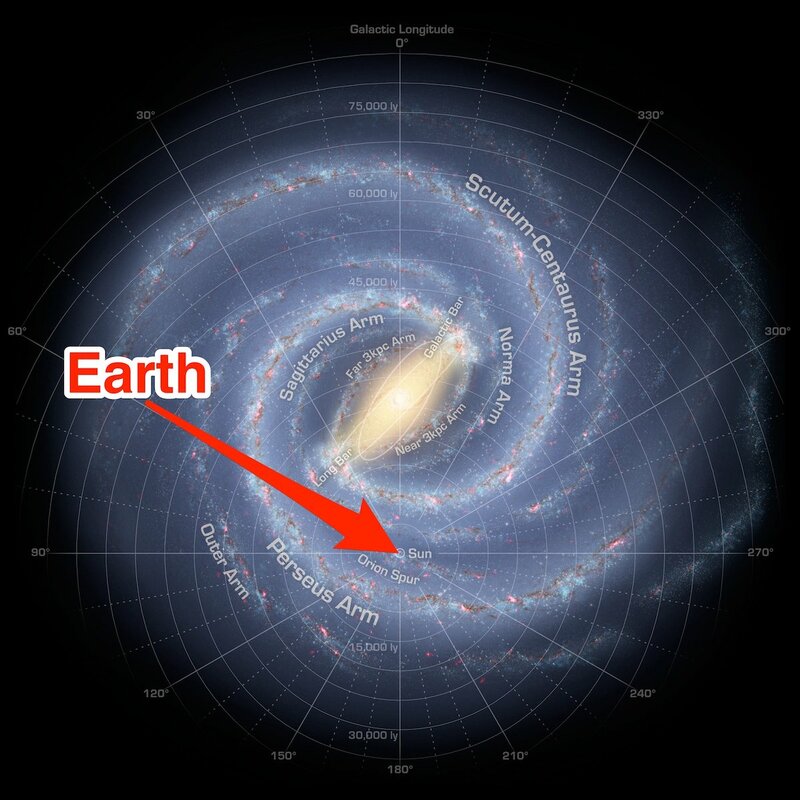 The Milky Way is our expansive galactic home. It hosts more than 100 billion stars, trillions of planets, and colourful clouds of gas and dust. 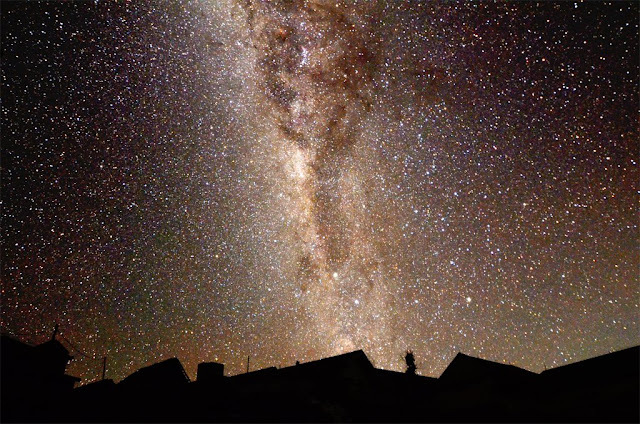 To peer through it, Kraan-Korteweg and her colleagues combined the observations of several telescopes: the newly refurbished South African Large Telescope (SALT) near Cape Town, the Anglo-Australian Telescope (AAT) near Sydney, and X-ray surveys of the galactic plane. Using that data, they calculated how fast each galaxy they saw above and below the galactic plane was moving away from Earth. Their number-crunching soon revealed that they all seemed to be moving together - indicating a lot of galaxies couldn’t be seen. Their calculations also show Vela is about 800 million light-years distant and zooming farther and farther away from us at a speed of about 40 million mph (18,000 kilometers per second). Despite that extra and rapidly increasing distance, however, Vela’s influence can’t be denied. 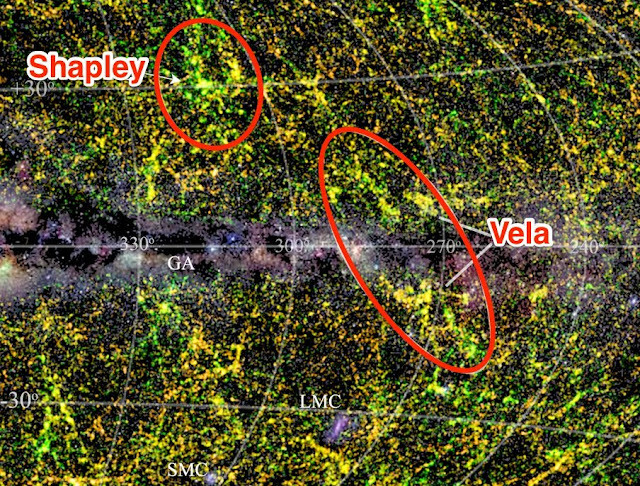 The researchers estimate that Vela’s gravitational tug on the Local Group of galaxies, which includes the Milky Way, has sped them up by about 110,000 mph (50 kilometers per second).